Is there empirical proof that the exodus from Egypt and related happenings (like Har Sinai etc) did in fact occur (i.e: Archeological proof)? I believe in the Torah, but how would you prove to someone that the exodus did indeed happen if the other person does not believe in the Torah (yet)? There is no archaeological evidence of the Exodus. When you get down to it, it's surprising how little archaeological proof there is of many things which we're pretty sure happened - we have difficulty identifying some entire nations which are described by sober ancient historians; and there are many monarchs who are known only by a single reference in a stele or inscription that we happened to dig up. In any event, there's no archaeological evidence for the Exodus. What's more of a problem is that we don't have evidence for a massive change in the population of what-was-Canaan around the time that the Torah describes the Benei Yisroel moving in. Once again, there's not a huge amount of evidence one way or another; partially because our ancestors failed to create massive archives of clay tablets, partially because they kept living in the same area and building over (or reusing) the remains of older buildings. None the less, the archaeological record doesn't support the Jewish narrative. For what it's worth, I think that any attempt to "prove" the Torah via archaeology is doomed to failure. Even if a substantial bit of evidence supporting the Exodus were found - say, finding the altars and pillars near Mt Sinai - the entire Biblical narrative is so unlikely from a rationalist perspective that almost any explanation (e.g.., ruins of a previously-unknown civilization, a pious Herodian reconstruction, the foundations of a secret IDF military camp) would be preferred. Here's the simple truth: The single largest question about the historicity of the Torah is how so many people could leave Egypt and stay in the desert for so long without leaving any trace. I haven't read these books, so I don't know how much is in them, but like I said, it's clear to R' Student that they don't provide proof of the Exodus. Someone who's read them (or you, if you're sufficiently interested to do that yourself) could provide a summary. It seems to me that if you want to convince someone to believe in the truth of the Torah, the historicity of the Exodus is probably not the best place to start. Reed huts more than 3,000 years old belonging to workers—perhaps slaves—and with the same floor plan as ancient Israelite four-room houses have been identified at Medinet Habu, opposite Luxor in Egypt.1 These reed huts may represent extra-Biblical evidence of Israel in Egypt. So the same houses or dwelling spots that were ascribed to Israelites in the land of Canaan or Israel were also found in Egypt, thus creating a link between the two groups of people. These dwelling spots were not the norm and not found everywhere. It was a certain type of dwelling that was identified only as that of Israelites in the Land of Israel. And thus not the norm for society as a whole in Egypt or in Canaan. This find is actually a real game changer in proving the existence of the Israelites in Egypt. This sort of throws a wrench in the modern archaeological consensus on the identity of the Biblical Israelite (they believed they were people having always lived in Canaan. Then broke away and became Israelites, but always stayed in Canaan not ever having been in Egypt.) This find helps prove that Israelites were a people foreign to the land of Canaan and had lived in Egypt as evidenced by the identical housing structures found in both Egypt and in Israel. In the early 19th Century a papyrus, dating from the end of the Middle Kingdom, was found in Egypt. It was taken to the Leiden Museum in Holland and interpreted by A.H. Gardiner in 1909. The complete papyrus can be found in the book Admonitions of an Egyptian from a heiratic papyrus in Leiden. The papyrus describes violent upheavals in Egypt, starvation, drought, escape of slaves (with the wealth of the Egyptians), and death throughout the land. The papyrus was written by an Egyptian named Ipuwer and appears to be an eyewitness account of the effects of the Exodus plagues from the perspective of an average Egyptian. Below are excerpts from the papyrus together with their parallels in the Book of Exodus. Please read THE RIDDLE OF THE EXODUS by James Long, a gentile who has faith in the oral tradition. He has fascinating archaeologic corroboration for many events and their geographic location. 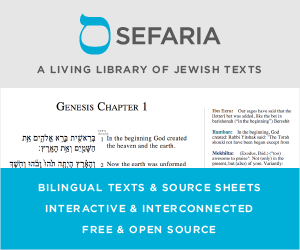 Scholars has very little evidence to offer on biblical exodus which could help to corroborate the biblical sources, whether archaeological or textual. Nevertheless, some progress has been made to list some parallels between the biblical account and Egyptian literature. For example, archaeological researcher Brad C. Sparks gathered more 34 parallels with the exodus narrative to the 56 previously identified by Egyptologists on disperse scholarship research from 1844 to date of his publication, totaling 90 parallels. In his paper titled "Egyptian Texts relating to the Exodus" (in Israel's Exodus in Transdisciplinary Perspective: Springer; 2015) he brings parallels from Egyptian texts such as the "Tale of Two Brothers", the "Destruction of Mankind", "Sehel 7-Year Famine Stela", the "Rosetta Stone" and many others. Within the primary text of the Destruction of Mankind, Egyptologists eventually identified a singular event they term the “primeval revolt” or the “rebellion of mankind” in the Heliopolis/Eastern Nile Delta area of Lower Egypt (see Sauneron 1962: 5:298, 322–327, 339; Yoyotte 1972, 2013: 346–352, transl. ), which is a theme then identified in a dozen or more Egyptian texts by in-depth analysis. It is an early religious or mythological event in ancient Egyptian literature, which resembles the Exodus. This singular event has Exodus-like parallels that are functionally integral to the narrative, rather than a text merely aggregating disparate Exodus-like motifs. The central theme of the revolt is the challenge to sun god Ra as Pharaoh of Egypt posed by evidently non-Egyptian people in northern Egypt, with their escape and ensuing armed pursuit. The rebels become “refugees” (Yoyotte 1972: 164, 2013: 348, transl.) who merely wish to leave Egypt, not overthrow the pharaoh or the government. (p. 267). Other Egyptologists have pointed out what appear to be clear Exodus parallels (blood plague and Egyptian armed pursuit of unarmed foreign population fleeing Egypt) in this main Egyptian “revolt” narrative, the Destruction of Mankind, but without explicitly calling attention to a Biblical connection (Grimal 1994: 44; Mojsov 2005: 84; Spalinger 2000: 266; Naville 1875:13, 18; Yoyotte 1972: 164). (p. 267-268). The fact that these Egyptian texts had so well-known elements to exodus tradition may suggest that the Exodus tradition itself shares a literary or even historical connection to Egyptian events. PS 1: I do not intend to quote each and every parallel cited in this paper. Rather I recommend you a nice summary in a short video here with Brad C. Sparks (skip the first 10mins) or the book itself which, in its entirely, cover a wide range of specialists in many areas. PS 2: I would also recommend "Ancient Israel in Sinai: The Evidence for the Authenticity of the Wilderness Tradition" by James Hoffmeier, which analyses the case for the exodus in a Egyptian background. And also, a quite interesting (jewish) approach by Rav Amnon Yitzchak citing parallels between Admonitions of Ipuwer and Yetzias Mitzrayim (part 1 here and part 2 here). There is a lot of archeaological evidence for all the events in the tanach(bible). I hope you can read Hebrew. Please see this link. http://www.daat.ac.il/daat/vl/tohen.asp?id=676 which is an entire book dedicated to the wealth of evidence. Just a few examples: 1. Joseph in ancient egyptian sources 2. Exodus in ancient egyptian sources 3. Extensive archeaological evidence for Israelite presence in desert 4. Extensive archaeological evidence for conquest of Israel by Israelites etc. etc. etc. Just read the book! Shevet dan picked up all lost items and returned them to their owners. This is a yerushalmi brought in rashi in parshas bihaalosicha ch 10 vs 25. Now, if any nonbelievers try to answer why would the yerushalmi 'invent' a good excuse as to why there would be no archeological evidence over a millennium before archeology was invented, that might in itself be good proof of the Higher Providence being seeked. http://www.youtube.com/watch?v=n7OUK4RSVHg look at this and make your decision , but this prove Exodus and that the Moses and Torah are real. Not the answer you're looking for? Browse other questions tagged history yetziat-mitzrayim har-sinai archaeology proof-of-torah . What are the evidence of red/reed sea crossing? Why do we think of the korban pesach as a sheep, not as a goat? How long did the showdown with Paro last? What was given in Har Sinai?